Previous Post: Griffon Mythbusthers Next Post: DesktopPaneFX 0.9.0 released! 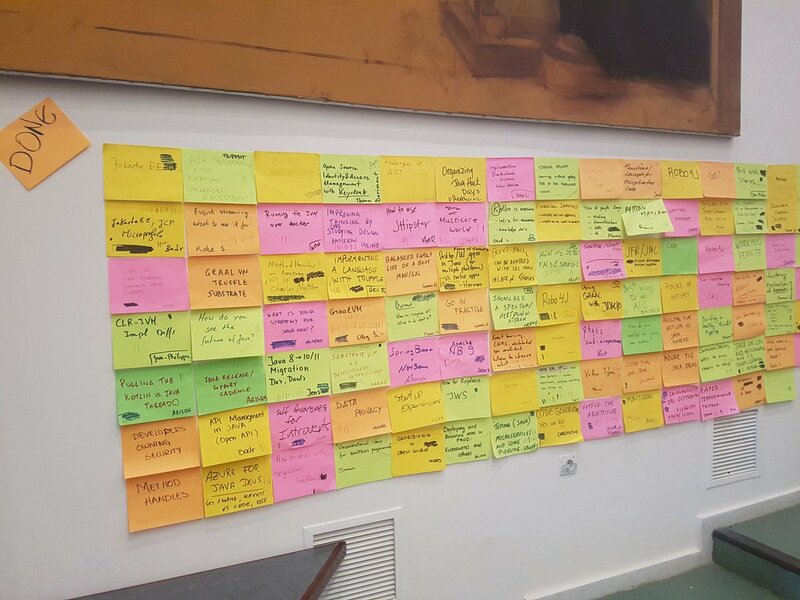 Every single one of those notes represents a session where JCrete participants poured their passion to share and exchange ideas. On Tuesday morning Robert Scholte (@rfscholte) held a Maven Q&A session and I felt this was the right opportunity to ask some questions regarding an specific setup for a multi-project build. We had briefly discussed the matter after lunch on the day prior so we had a head start getting into the session. What I didn’t expect was that the session turned into a big pair programming experience as everyone in attendance had an opinion on how to solve the problem, yay for mob programming! I’ll explain the Gradle build first as it shorter and it happens to be the one where I have more experience. The root build.gradle file defines common configuration to all modules, gradle.properties defines project properties that have static values (these properties could also be defined inside build.gradle), and settings.gradle defines the modules that belong to this multi-project build. This build file establishes the relationship between modules and defines the executable coordinates for project2. Alright, with this setup it’s possible to compile and execute project2 in one go. We can do this at the root level (the directory where the root build.gradle file is located) or inside the directory that contains project2 (if you’re having trouble figuring out how to invoke Gradle or its wrapper inside a multi project build do yourself a favor and install gdub). Aaaand no luck. Which is strange given that the compile step for project1 clearly states that there were changes and recompiled the sources. I must be missing something here and will follow up with the Maven team. Adding a clean goal does produce the expected result but it may not be a good idea in a big multi-project build as it clears the previous results resulting in slower build times. UPDATE: Robert has pointed out there may be a bug in the compiler when incremental compilation is in use, see MCOMPILER-349. 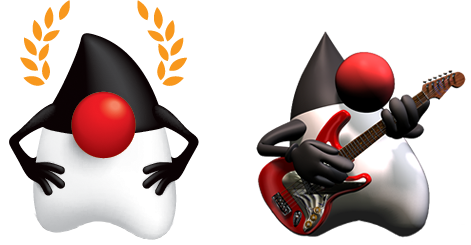 Maven is not a perfect tool (nor is Gradle for that matter), we all have heard the Maven/Gradle bashing from colleagues (or ourselves) at some point in our developer career. Instead of spending time raging about the state of the tools, what if we used that energy to create something positive? If you use Maven at regular intervals and have the passion to help others, please consider joining Robert and the rest of the Maven team to pick up some of these issues, we all win!